MAP is a national test administered to CPS students in grades K-10. Determine if they are performing on grade level. Set goals for classroom performance. See their academic strengths and areas for improvement. See child's performance on/at/below grade level. See if the child is showing growth in reading and math. Allows them to see a comparison to the national average. Use results to help guide and individualize day to day instruction in reading and math. Use a student's RIT score to help set the instructional level. 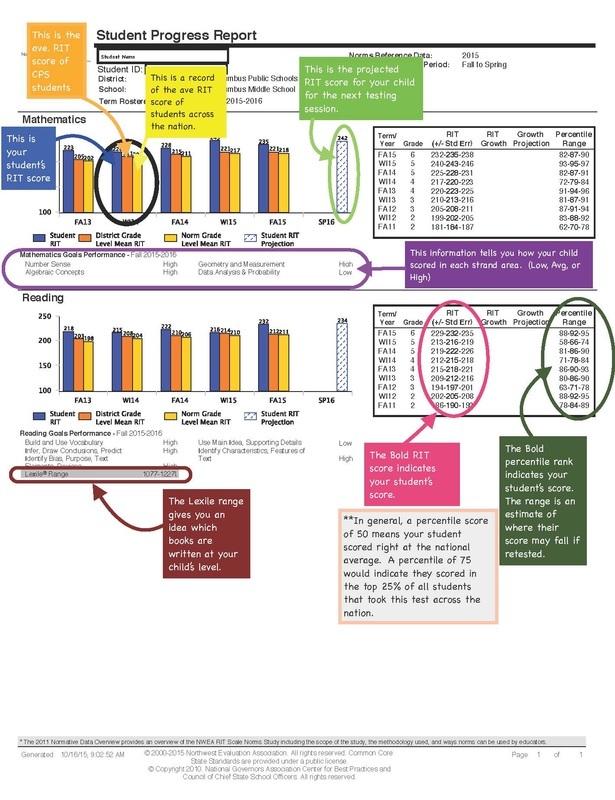 Use the data to engage students in personal goal-setting.